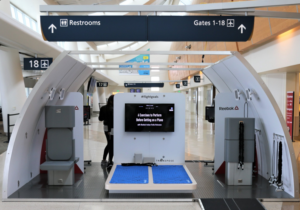 Luminary Air Group creates innovative, lightweight, easy-to-install noise reduction kits under its Flight Environments brand. Kits are tailored to the unique needs of every aircraft, from the smallest single-engine fixed-wing airplane or helicopter, to the largest wide-body jet. Flight Environments systems fit all types of aircraft, from antique machines to the largest and most modern of private jets. Each system is custom designed to meet the plane’s individual configuration. Using sophisticated proprietary materials and applications, the interior of the plane is treated with a selection of material combinations to reduce both sound and heat levels. The Company offers other products for fire protection and provides additional sound reduction technologies. Luminary’s integrated approach to design assures that all of its products work together to bring the customer the unrivaled cabin noise reduction, fire safety, and thermal stability. The Flight Environments system meets both FAA Parts 23 and 25 ATP category standards for fire resistance and toxicity. What do we mean when we talk about Cabin Comfort? Aircraft cabins are noisy by necessity. Engines, vibration, air flow – all of these are sources of noise that come with traveling through the air at high speeds. This environment makes conversations more difficult and sleep less effective, if it can be achieved at all. Dealing with jetlag is difficult enough, but a noisy cabin amplifies its effects. There is an established link between cabin noise and post-flight fatigue, which means that reducing sound levels in the aircraft not only makes a flight more enjoyable, it also allows for easier recovery after the trip. At Luminary Air Group, we strive to create the most comfortable cabin environment possible, based on the given set of constraints. Noise reduction will (almost) never be the only consideration for your interior modifications – factors such as weight, cost, and design preferences have to be considered. Helping you find the right balance between all of them is what we do – with the goal of achieving true cabin comfort. 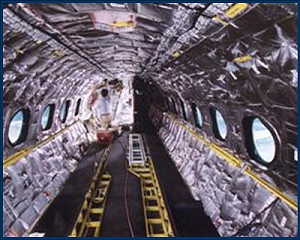 Please click here for a primer on aircraft acoustic insulation, take a look at our list of insulation kits, or contact us for more information. * Luminary Air Group can guarantee to meet area-specific sound level requirements. Specific details of the guarantee and performance will be provided in the individual contractual agreement. Many of our kits are available with Supplemental Type Certificates (STC). Click here to see our list of STCs for Cabin Comfort Systems. Please call us at 888-624-2400 or email us at info@luminary.aero. 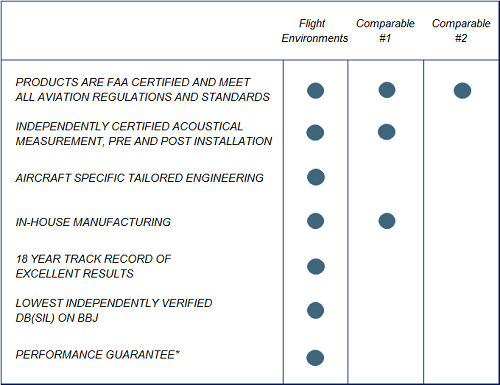 How much confidence do we have in achieving targeted noise levels? Luminary Air Group, LLC | All Rights Reserved. Luminary Air Group delivers components for the innovative in-flight gym module built by A3, the Silicon Valley Outpost of Airbus Group.